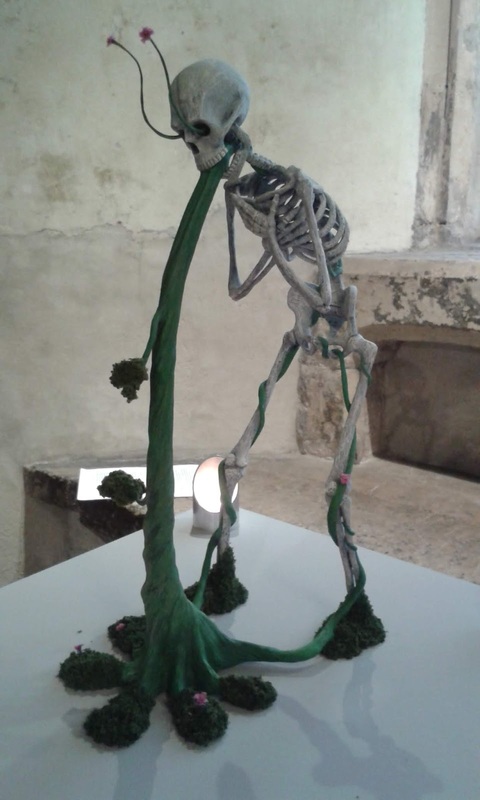 I went into the crypt under the church of St John on the Wall in Bristol today, to see 'In the Downbelow', the latest exhibition by the sculptor and model maker Tom Astley. 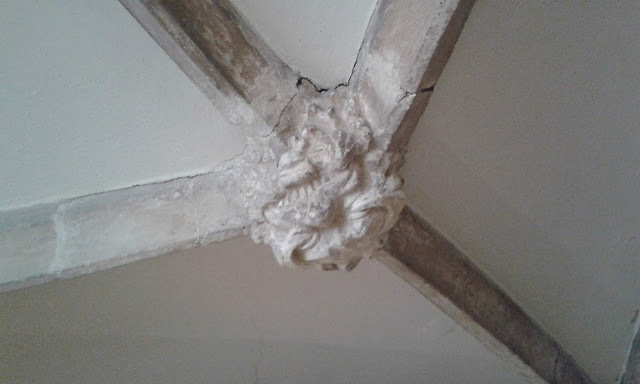 The crypt dates back to the early 14th century and one of the highlights of the place, for me, was the collection of carved green man faces on the roof bosses. 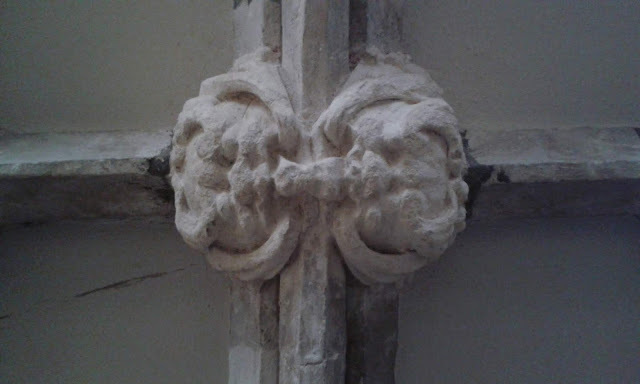 They are quite low down compared to most churches and cathedrals, so can be easily studied from floor level. This one has a fine set on teeth on show! The crypt is very atmospheric and had inspired Tom to create some artworks especially to display in this space. It was interesting to see his new pieces, showing the distinctive style that he's developed. 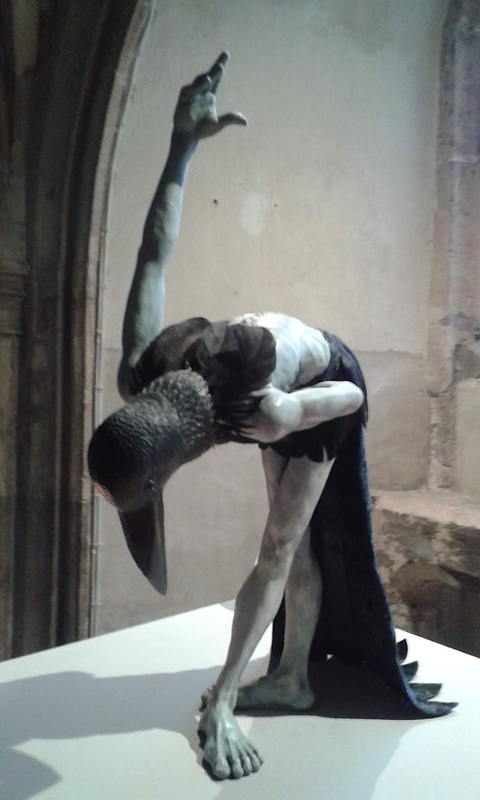 This sculpture is entitled 'Plague doctor' and was based on the physicians, with their strange beaked masks, who tended to victims of the Black Death. 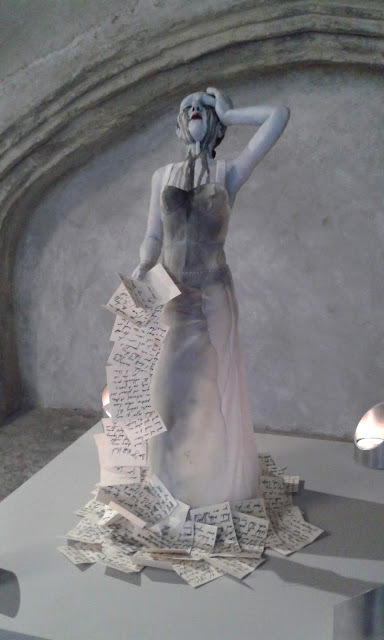 The sculpture 'Lady of Letters' came about because a tomb effigy of a wealthy noblewoman in the crypt shows her writing kit tied to her waist. 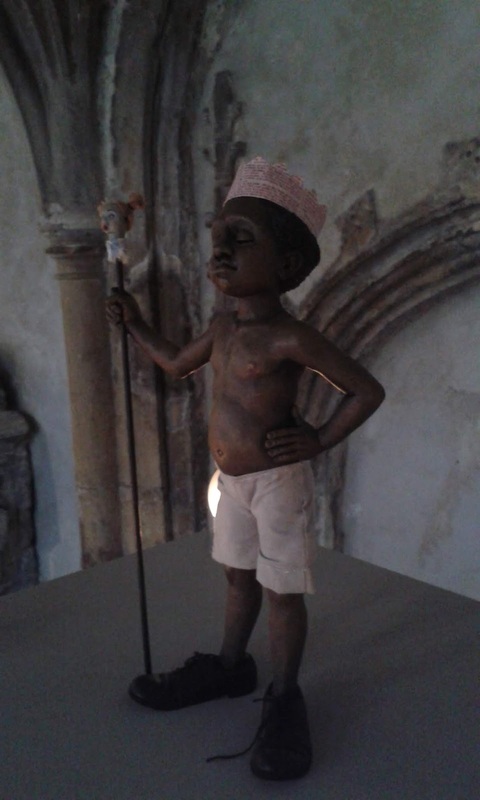 This 'Lord of Misrule' has a paper crown and would take over his duties during the Festival of St Stephen. 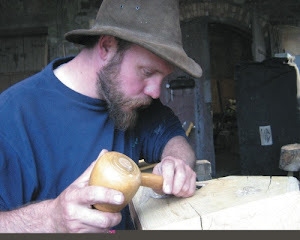 The tradition lasted in Britain until the sixteenth century. Other images based on the idea can be seen amongst the misericords in Bristol Cathedral. The final sculpture in the exhibition was inspired by the green men carved overhead. 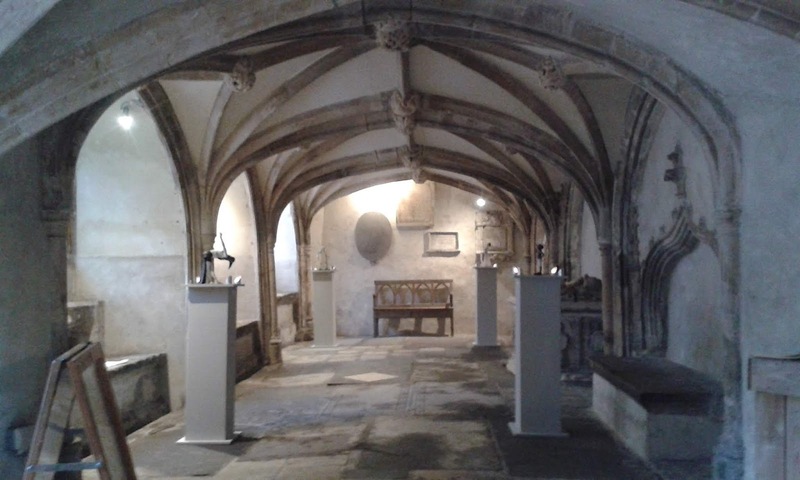 You might agree that the darkly atmospheric artworks fit perfectly in the vaulted stone space of the crypt. 'In the Downbelow' runs from the 17th to the 30th November and is open Tuesday to Saturday, 11am until 6pm.